Here at Best Buy Windows & Siding LLC of Dallas, TX, we have a reputation for being the #1 home improvement provider in North Texas! 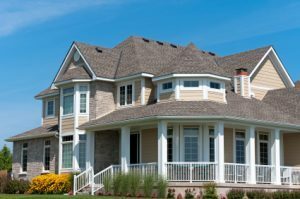 For more than 30 years, we’ve been selling and installing custom replacement windows, expert vinyl siding, and professionally designed patio covers for the North Texas community. The Best Buy team has years of fine-tuned expertise and training under our belt. Most of all, we take pride in knowing that our community counts on us – we always deliver the highest quality products and services to our clientele. In the 1850s, the first few families settled in what is now Argyle – though the area was then known as Pilot Knob or Waintown. There is still debate as to how the town was named Argyle, though many seem to agree it was named after a garden in France. Today, although the population has grown over time, the town remains a quiet and rural setting with a population numbering under 2,400. We offer a wide variety of types of windows, superior vinyl siding products, and top-quality custom patio covers – we take pride in helping you acquire the best home improvement products for your needs! Here at Best Buy, our highly trained technicians will provide you with a personalized consultation to determine the best plan for your home. Whatever you desire for your home – whether it’s better insulation for your home’s interior and exterior, higher energy efficiency capabilities, or an overall better-quality aesthetic – we guarantee that you’ll be 100% satisfied with what we offer. Once we’ve provided you with a personalized home assessment per your needs, we’ll go over your accurate pricing estimate, so you have a clear idea of what your project will look like. It’s important to us that our pricing is up-front, with no hidden fees – this is because we truly value our clientele! In fact, you can rest assured that there will be no additional expenditures after your original price quote should the job require additional time or resources. CALL US TODAY for a free in-home consultation! If you prefer, sign up for one of our free Window, Siding, or Patio Buyer’s Guides. Get ready to have the home of your dreams!